Could Water Pumps "Refreeze" The Arctic? Home » Could Water Pumps “Refreeze” The Arctic? 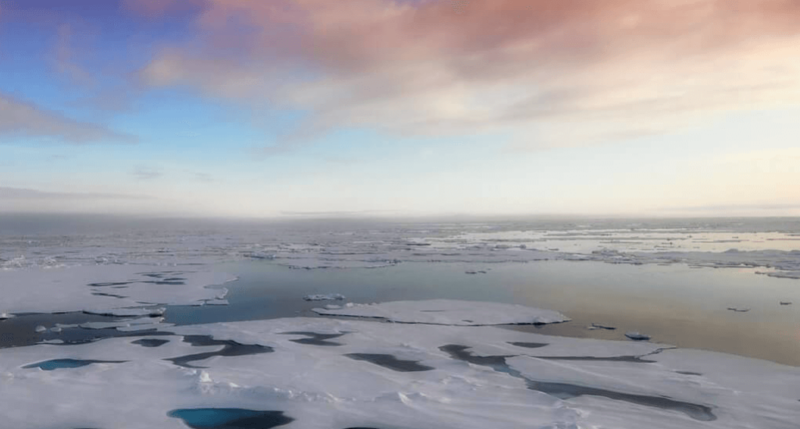 Could Water Pumps “Refreeze” The Arctic? Whether you keep abreast of global issues or not, chances are you will be aware of global warming and the threat that it poses to our planet. Polar ice caps are rapidly melting due to steadily increasing global temperatures, and if it doesn’t stop soon then we could be looking at nothing short of a global catastrophe. So how do we combat this problem before it’s too late? The most effective solution is to reduce our greenhouse gas emissions, but that of course is easier said than done. So as this is not happening, scientists are working hard thinking of alternative ways to try and reverse the situation. One study recently carried out by a team of researchers from the School of Earth and Space Exploration at Arizona State University and led by Professor Steven J Desch, have considered a possible solution that would replace the lost ice by ‘refreezing’ the arctic. Their proposal sounds ambitious to say the least. The team estimate that 10 million wind-powered pumps could add an extra metre of sea ice onto the arctic region’s current layer, which would help protect it from the globe’s rapidly increasing temperatures. The area of the Arctic Ocean is about 107 km2, so if the wind-powered pumps are to be distributed across 10 percent of that area, this would necessitate about 10 million wind-powered pumps; if distributed across the entire Arctic, about 100 million would be needed. They add that to build a fleet of 10 million pumps, it would require roughly 10 million tons of steel per year. If you wanted to deploy pumps over the entire Arctic, you’d need 100 million tons of steel per year. Desch believes that this groundbreaking technique could potentially add as much as an extra metre of sea ice to the current deposits. Although that might not sound like a lot for the effort required to input ten million pumps, given the current thickness rarely exceeds two or three metres, this change would have a measurable impact. The refreezing proposal is just pure theory at this time. Desch and his team are trying to build a prototype and test it this year. This form of ‘geoengineering’ the Arctic in response to human-caused warming isn’t the first time it’s happened. Researchers have previously suggested artificially whitening the Arctic by dispersing bring aerosol particles over the ice to help reflect solar radiation back into space, or creating artificial clouds above the region that would prevent the heat from getting to the surface in the first place. Sadly, none of these proposals have turned into a reality because of the huge costs associated with each. The logistics associated in ‘refreezing’ the Arctic sound mind-boggling. However Professor Desch advises the technology that he proposes to do the job is very simple. The pumps would be connected to powerful wind turbines, drawing energy from the intense Arctic wind speeds that average at 6 metres per second. The basic components of such a device would include: a large buoy; a wind turbine and pump, drawing up seawater from below the ice; a tank for storing the water; and a delivery system that takes the water periodically flushed from the tank and distributes it over a large area. “Imagine a buoy bigger than a minivan, with a wind turbine on top,” says Desch in an interview with the Guardian. “One device could pump up enough water to increase the thickness of the ice by one meter over an area one-tenth of a square kilometre.” However achieving the results Desch feels appropriate is slightly more complicated. He suggests the job would require 10 million devices at $50,000, costly a cool US$500 billion in total. Gathering this sum of money would require the help of multiple governments around the world to commit funds to pay for the staggering costs of setting up what is essentially a giant air-conditioning system around the Arctic. According to researchers, the warming in the Arctic region is unprecedented and even breaking records. Last November, temperatures should have dropped to -25 degrees but instead reached several degrees above freezing. The affects of global warming doesn’t just affect ice though. 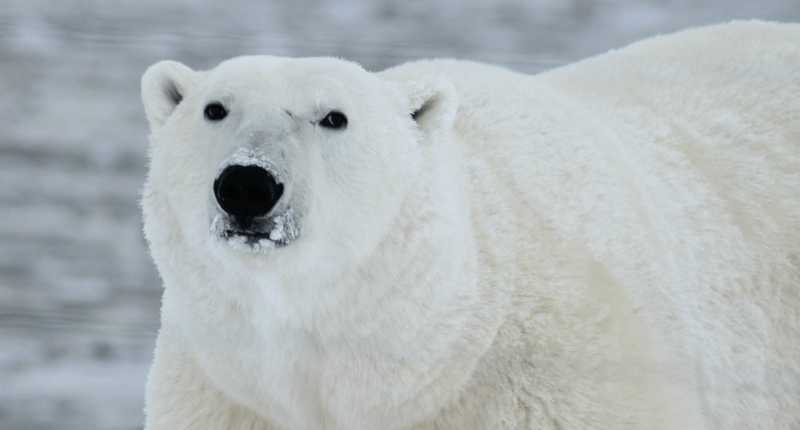 The loss of sea ice makes it harder for Polar bears to find food. It’s also affecting the number of Arctic cod, which like cold waters, particularly those covered by sea ice. Desch agreed that his proposal is only a minor part of the larger equation of solving the disappearance of Arctic ice. He advises that cutting CO2 emissions would also be crucial in saving Arctic ice in the long run. The jury is still out on whether thisplan will save the Arctic crisis but one thing is for sure – it’s important that we find some sort of solution soon, before it’s too late. Studies have suggested that if we do nothing about the world’s carbon emissions and let the situation in the Arctic continue as it is then all summer Arctic sea ice will disappear by 2030. Desch and his team have fully acknowledged that their proposal still needs some fine tuning but what’s clear is that the concept does make theoretic sense. Not only does it take into account the way seasonal change and climate change are linked in the Arctic, it also acknowledges how humanity is not likely to be able to address climate change without resorting to ‘geoengineering’ techniques. And as Arctic ice is one of the most important things when it comes to regulating global temperatures, it would be a good idea to start here. A wind turbine with blades 6 metres in diameter [19 feet], with weight on the order of 4,000 kg of steel [8,818 pounds]. To keep this afloat would require the buoy to contain a roughly equal weight of steel. As a round number, Desch estimates about 10,000 kg of steel [22,046 pounds] would be required per device. To build a fleet of 10 million pumps, it would require roughly 10 million tons of steel per year. If you wanted to deploy pumps over the entire Arctic, you’d need 100 million tons of steel per year. For comparison, the US currently produces about 80 million tons of steel annually, and world production of steel is 1,600 million.